Even though the sign on the front of the store says up to 30% off, big ticket items are still only 5-10% off. This includes flat screen televisions (10%) and computers (5%). Most of the televisions and computers they have for sale are floor models or open box items. Some of the prices on the televisions have been marked up to account for the 10% discount!! Looks like the poor economy is taking a toll on another big business. According to the Atlanta Business Chronicle, the retailer announced Monday that it will be closing 20% of its 755 stores in 55 US markets. Being the electronics junkie that I am, this is big news to me. Why the move to close so many stores? “Due in part to its deteriorating liquidity position and the continued weak macroeconomic environment, the company has decided to take certain restructuring actions immediately, including closing 155 domestic segment stores, reducing future store openings and aggressively renegotiating certain leases,” the company said in a news release. The company will be closing all 16 stores in the Atlanta area and Macon, Athens and Warner Robins. The company will be also be closing all stores in the Phoenix, AZ area. The closings are scheduled to be completed by the end of the year. 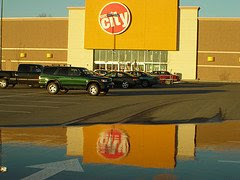 If you are looking for a great deal on electronics this holiday season, you may need to look to Circuit City. Of course, you shouldn't make a purchase you previously had not planned to make just to save money that you had not planned to spend in the first place. For a list of store closings, click here. I have not cared for circuit city much in a while anyway. They are closing a couple around Houston, but there are enough that if I want to go it would not be hard to get to one. They just opened one a couple of miles away in July or August that is on this list for closure. My wife jokingly said that they probably still have the 'Grand Opening' banners hanging up. Yikes! The Circuit City in my area closed not to long ago and they shipped all of their inventory to other stores and only sold the floor models at a discount of about 10%. So dont go looking for deals at CC because they wont have any. I'm surprised our store is not on the list. I bet you the Mexican billionaire that bought the company a few years back has to be shaking his head at this one. I guess not everyone is Warren Buffet?